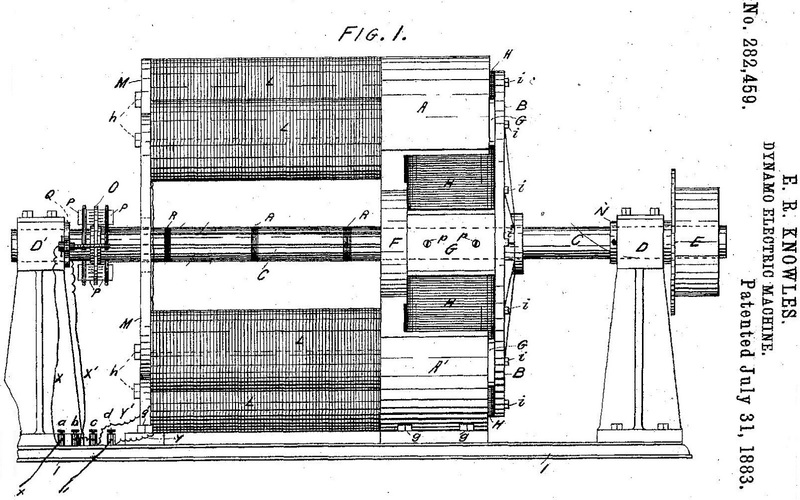 Byron Alden Brooks and Emmit Girdell Latta may not be regarded as being among the greatest typewriter inventors of all time, yet between them they patented at least 58 typewriter inventions, covering a 50-year period from 1875 to 1925, 41 of them to Latta alone. 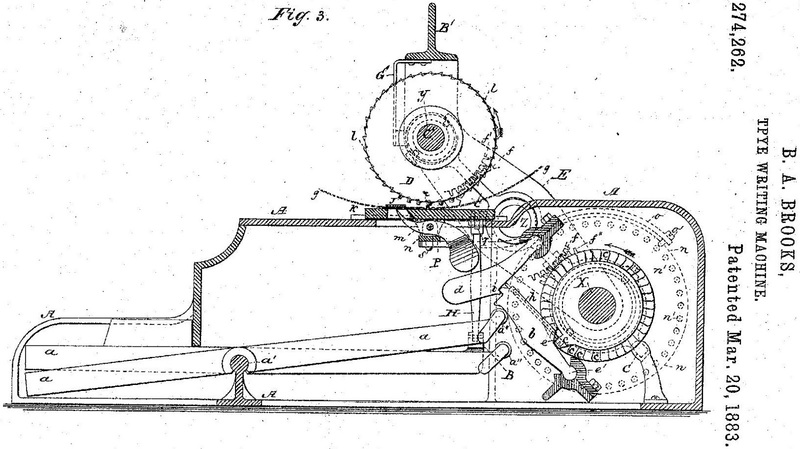 One hundred years ago, on, May 12, 1912, Brooks and Latta were both issued with typewriter patents, each of which were assigned to the trust company, the Union Typewriter Company of Jersey City. But Brooks, described in his obituary as the “typewriter patent expert” for the Union trust, had died 8 1/2 months previously. 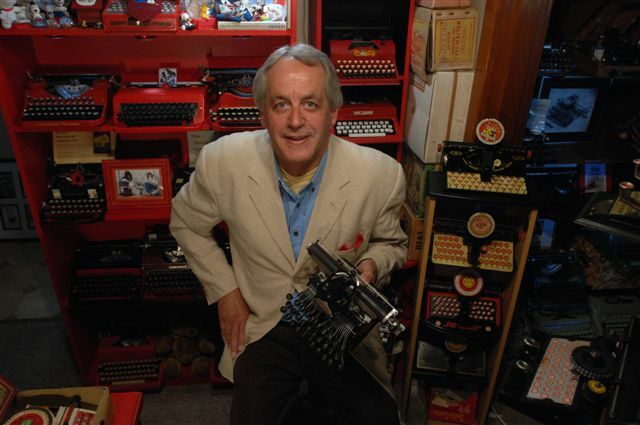 Brooks died with an unfulfilled 30-year dream of building an electric typewriter. His last patent outlaid the basics for the electric that Remington would eventually make from its Standard Model 12 in 1925. The issuing of these patents represented some of the last throws of the dice by the Union trust as such. The next year, 1913, it was reorganised to once more become the Remington Typewriter Company. Until then, the general rule appears to have been that when inventors like Brooks and Latta assigned patents to the Union company, these were intended for machines or devices which were to be used on models across the Union spectrum, including Remingtons, Smith Premiers and Monarchs. Conversely, patents assigned to the individual companies were intended for those brands alone. The period in which Brooks and Latta were designing devices for the Union trust was the one in which both Remington and Smith Premier were finally making the break from upstroke typewriters to frontstrike machines. 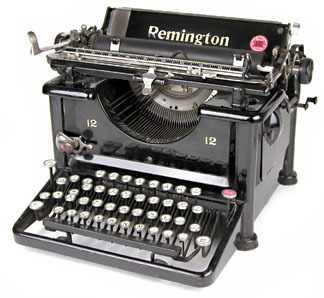 The Remington Standard No 10 had appeared in October 1908 and the Smith Premier Model 10 (still with a double keyboard and lifting carriage) one month later (Latta’s 1912 patent had been applied for in 1905). Oscar Woodward (born Pennsylvania, 1857; raised Ottunwa, Wapello, Idaho) was in charge of overall development of the Remington Visible. 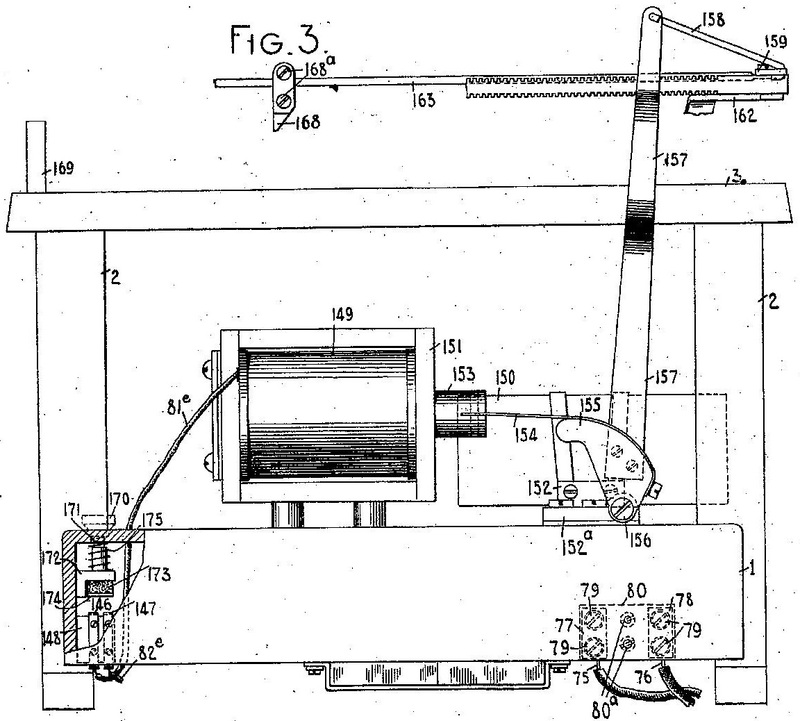 Woodward, who had been the principal examiner of typewriters for the US Patent Office in Washington in 1893, went on to work for Wyckoff, Seamans and Benedict (1903), Densmore (1906) and Yost (on its frontstrike machine, 1907), all of which operated under the Union umbrella. In 1909 Edwin Earle Barney (born Union Springs, Cayuga, New York, April 7, 1866) was made head of manufacturing at Smith Premier in Syracuse and from 1912 general manager of the Remington works at Ilion, New York. But much of Barney’s design work was devoted to the Monarch. The move by Remington and Smith Premier to visible writing machines was a team effort, and Brooks and Latta were at various times key members of that team. 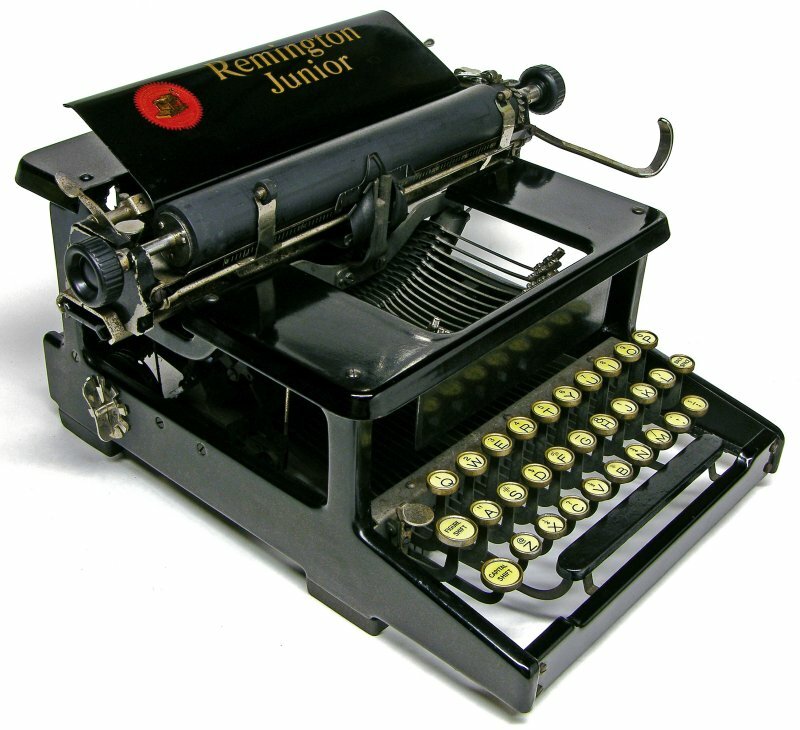 Though it came after the reorganisation, one prime example of shared designs is the Remington Junior three-bank, made by Smith Premier at Syracuse and incorporating the ribbon mechanism invented by Latta in 1904. 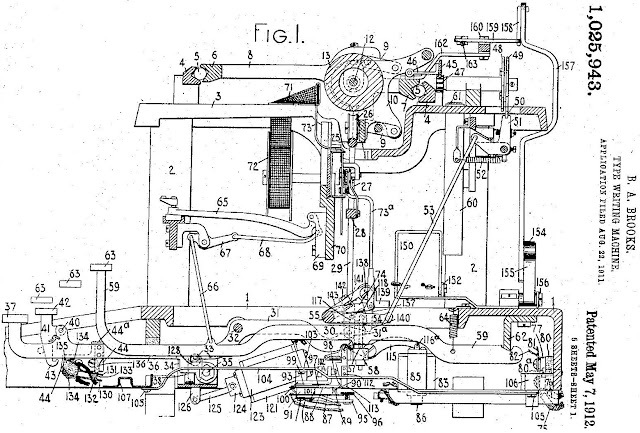 This mechanism, otherwise exclusively used by Smith Premier, had the ribbon coming from behind the carriage. Credit for the Remington Junior, which appeared in 1914, has been given to Arthur William Smith (born London, England, November 25, 1885) and John Henry Barr (born Terre Haute, Indiana, June 19, 1861) “with ideas of Frank Sholes, son of Christopher [Latham] Sholes”. Christopher Latham Sholes had no son called Frank, nor Franklin. He had a grandson called Frank Charles Sholes. And one of his Christopher Latham’s sons, Zalmon Gilbert Sholes, worked with Franklin Remington on the Fay-Sholes. Franklin Remington was the youngest son of Samuel Remington, Eliphalet Remington’s second son, and as such was Phil Remington’s nephew. On Barr, see my post here. Barr had started with the Union 1903, designing for Smith Premier, then stayed with Remington for 10 years from the 1913 reorganisation. However, while components of the Remington Junior were being developed with designs from the like of Latta, Smith was still working as an engineer in a shoe factory in Monroe, where his father was the foreman. Smith later worked for Yost and Remington. After 1913 all his designs were assigned to Remington and his work with Barr was on improving the Remington four-bank portable in the early 1920s. The Remington Junior and the Smith Premier Simplex, a stripped down version of the 10 and one which shares some traits with the Junior, both emerged the year after the Union trust was reorganised. The Junior is also similar to the Century 10, marketed in 1919 by the American Writing Machine Company, then still controlled by Remington. 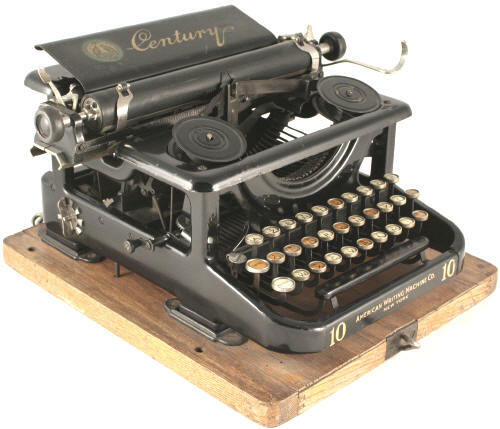 As for the Remington and Smith Premier 10s, Latta contributed an improved typing action. The change from longer upstroke typebars to shorter frontstrike typebars required a lighter action with fewer parts. Latta explained that because of the smaller typebasket and segment, “the radial planes through which the typebars swing are unavoidably brought in close juxtaposition”. 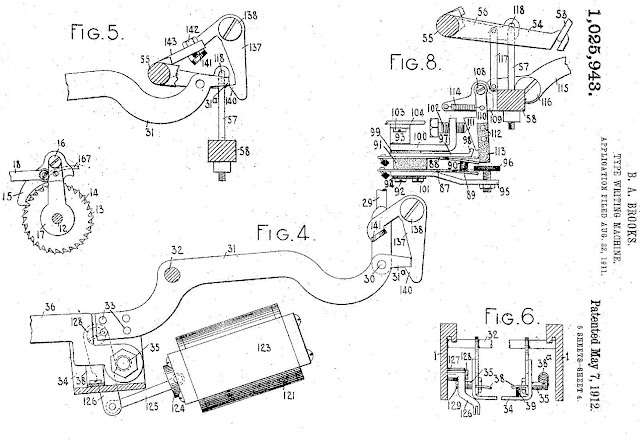 It is apparent from Latta’s 41 typewriter patents, however, that his real forte was ribbon mechanisms. His 1904 invention was assigned to the Syracuse businessman with whom he worked very closely during that period, Harvey Allen Moyer (born Clay, New York, February 1853). In 1876 Moyer founded a carriage company in Cicero, New York, which he relocated to Syracuse in 1880. There Moyer became a close business associate of Smith Premier's co-founder Lyman Cornelius Smith. 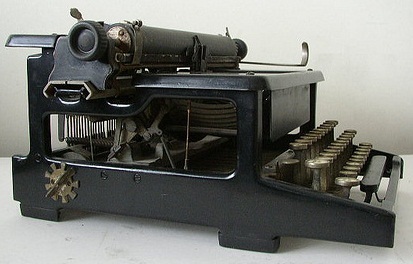 In February 1905 Moyer announced the Latta-designed Moyer writing machine would be a "new feature visible" typewriter. The rights of this were sold to Blickensderfer in 1913 and it became the Blick-Bar, a machine with a conventional ribbon mechanism. However, Latta’s behind-the-carriage ribbon mechanism was picked up by Smith Premier through an arrangement with Moyer, who owned the rights to it. The only Smith Premiers to use this arrangement were the 10 and its stripped down version, the Simplex. Latta is one of the most fascinating characters in typewriter history. My post on his life can be seen here. Latta began inventing in 1876, later concentrated his efforts on a bicycle, and then in 1893 moved on to typewriters. For much of the next 32 years he was a freelancer, but shared many patents with Moyer. From 1915-18 he worked for Corona, which ultimately decided not to pursue Latta’s ideas for a collapsing typewriter – although his patents did influence the Rooy. Latta continued to work on this venture until his death in 1925, after which the executors of his will assigned his patents to Underwood. 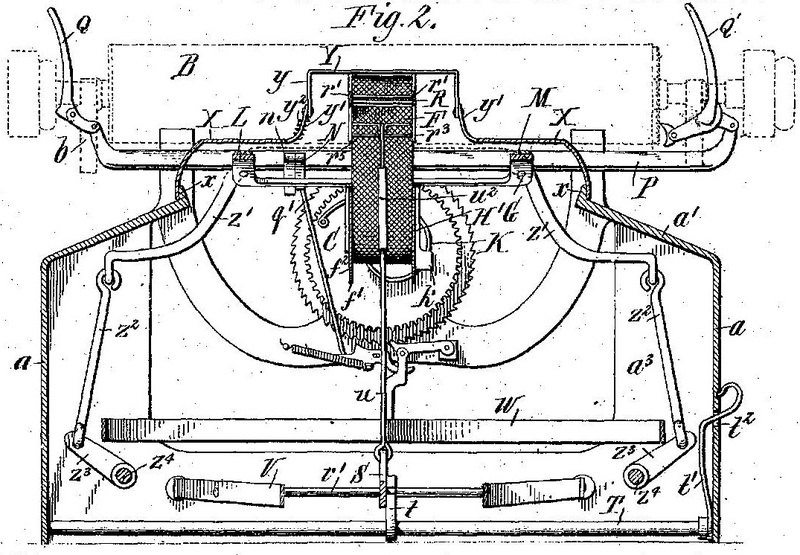 Latta’s many contributions to the early 20th century development of the typewriter pretty much went to the grave with him, But Byron Brooks will always have a place in typewriter history, primarily for the 1878 Remington 2, which incorporated his patent for a shifting platen to enable both upper and lower case writing. 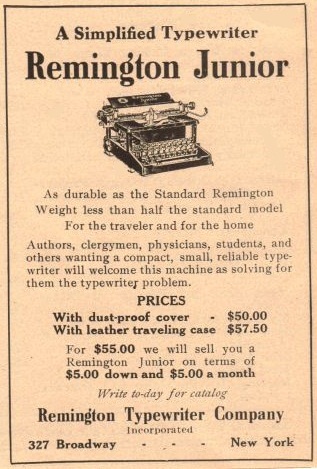 It was later claimed that Lucien Stephen Crandall had invented this for Remington, and Brooks the typeslugs with capital and small letter faces. In truth, the shifting carriage was Brooks’ invention, one for which Remington had to pay him royalties. 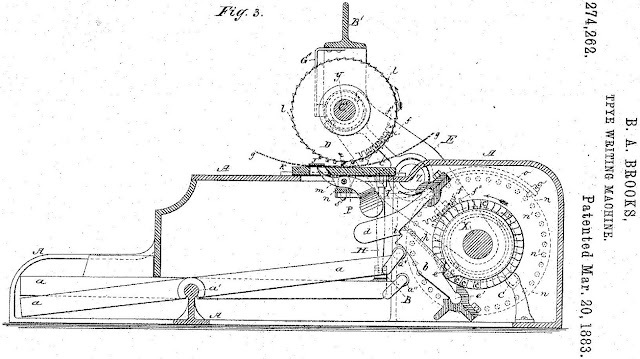 This, however, merely touches on Brooks’ patents for an electric typewriter. 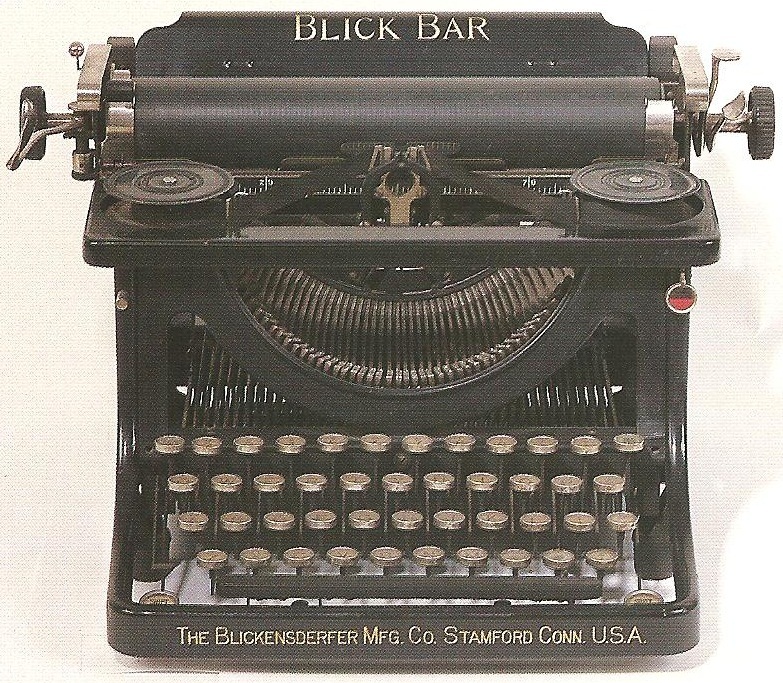 At a time when the earliest electric typewriters are in “current typewriter news” – in relation to the Cahill and the Blick Electric – it is interesting to look a little more thoroughly at the Brooks Electric. Brooks first toyed with this idea as far back as April 1882 and went so far as the get Edward Richardson Knowles to design a dynamo electric machine to drive the typewheel typewriter in 1883. Knowles, born in Union City, California, in June 1851, graduated from the Polytechnic Institute of New York University in 1871 and designed searchlights for the US Navy (1894) and invented the storage battery (1892). He also designed an incandescent electric lamp for Brooks (1883). Brooks shelved his electric typewriter idea for almost 30 years, then, a month before his death, applied for a patent for an electric typewriter again. It was issued on May 7, 1912. It is notable that the Remington Electric which was introduced, 13 years later, had many marked similarities to Brooks’s designs. 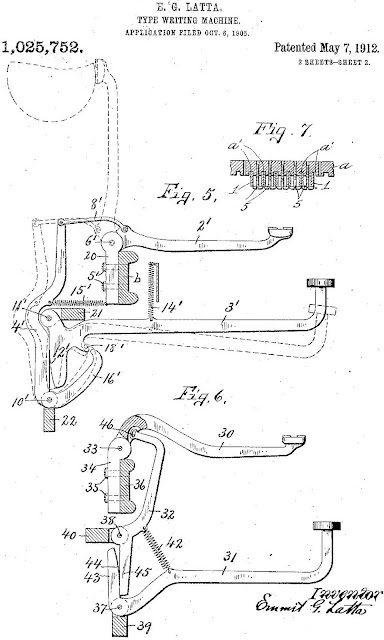 Is it possible Remington sat on the patent all that time, then decided to go into production with it? 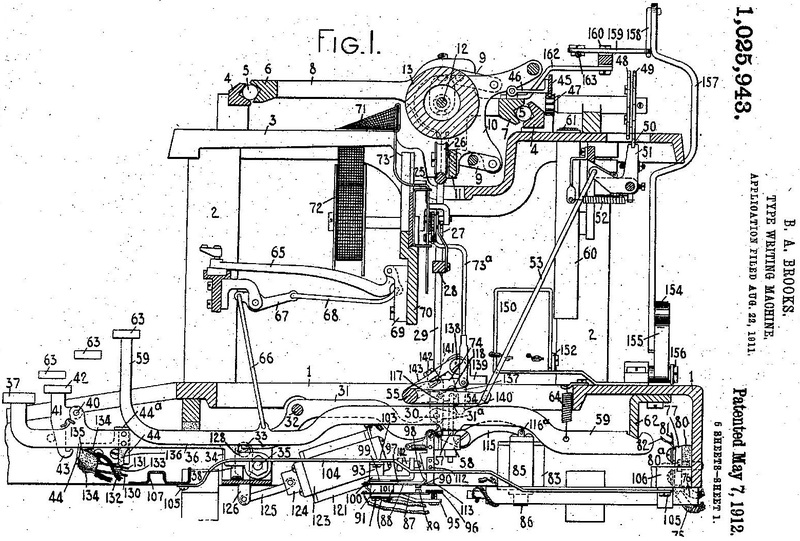 When one considers that on the 1925 Remington Electric the typebars, shift keys, shift lock, tabular key, back spacer, line spacer and carriage return were all powered by a rotating cylinder driven by an electric motor, it seems highly possible. 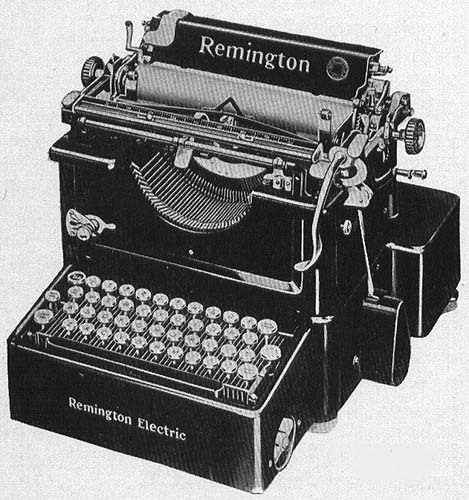 The Remington Electric typewriter was based on the Remington No 12, whereas Brook’s 1912 patent is based on the No 10, which he had helped design. The motors were made by the North East Electric Company. Only 2500 of these typewriters were produced. 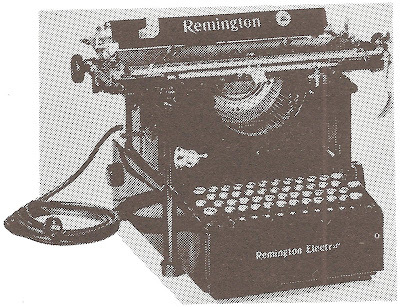 The visions for typewriters of that future that Brooks and Latta held at the time of their deaths sooner or later became realities: Brooks's in the form of the Remington Electric, Latta's in the form of the Rooy.